Tencent announced that it will acquire a majority stake in Clash of Clans developer Supercell from SoftBank. 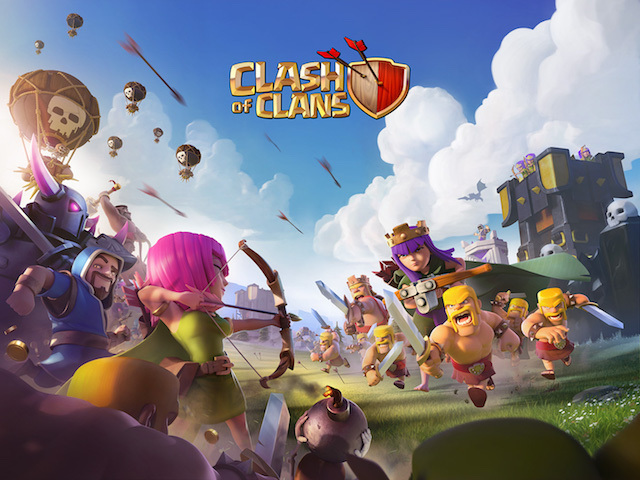 Chinese internet company Tencent announced that it will acquire a majority stake in Clash of Clans developer Supercell from SoftBank. The deal values Supercell at approximately $10.2 billion. The deal will see Tencent acquire up to 84 percent of Supercell. The remaining portion will be owned by Supercell’s employees. Supercell will continue to operate independently out of its headquarters in Helsinki. Following the completion of the deal, SoftBank will no longer own any shares in Supercell. Today is about chasing a future for Supercell that we have always dreamed of. We founded Supercell to make great games that people all over the world would play for decades and become part of the rich history of games. We’ve made excellent progress—over the past six years, we’ve created four top games that are now played by over 100 million people every single day. Tencent’s investment secures what has made all of this possible, which is our independence and unique culture of small and independent teams. We want Supercell to be the world’s best place for creative people to create games. At the same time, this new partnership offers us exciting growth opportunities in China, where we will be able to reach hundreds of millions of new gamers via Tencent’s channels. Supercell’s four mobile titles–Clash of Clans, Hay Day, Boom Beach and Clash Royale–are consistently found near the top of the top grossing iPhone apps chart on iTunes. As of this writing, Clash of Clans is No. 4 on the list, while Clash Royale, Boom Beach and Hay Day are Nos. 6, 23 and 36, respectively.